Hello lovely ones! Happy first of the month! Since it is the start of August (where has this year gone?! ), I thought I'd share my TBR list. 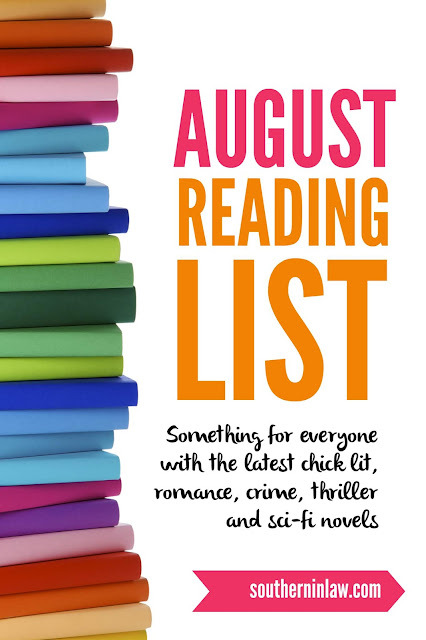 I have a giant stack of books to read through (because I have a bitttt of a book problem), but this month I thought I'd come up with a goal list of the books I want to get through. 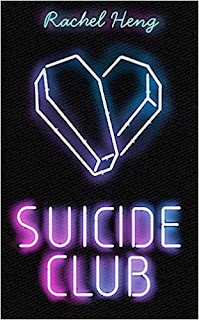 This book was actually quite a bit further down my TBR list, but since it first arrived from the publisher, Jesse has been begging me to read it because he wants to read it himself. 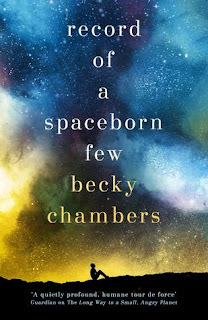 Blurb: Hundreds of years ago, the last humans on Earth boarded the Exodus Fleet in search of a new home among the stars. After centuries spent wandering empty space, their descendants were eventually accepted by the well-established species that govern the Milky Way. But that was long ago. Today, the Exodus Fleet is a living relic, the birthplace of many, yet a place few outsiders have ever visited. While theExodans take great pride in their original community and traditions, their culture has been influenced by others beyond their bulkheads. As many Exodans leave for alien cities or terrestrial colonies, those who remain are left to ponder their own lives and futures: What is the purpose of a ship that has reached its destination? Why remain in space when there are habitable worlds available to live? What is the price of sustaining their carefully balanced way of life—and is it worth saving at all? A young apprentice, a lifelong spacer with young children, a planet-raised traveller, an alien academic, a caretaker for the dead, and an Archivist whose mission is to ensure no one’s story is forgotten, wrestle with these profound universal questions. The answers may seem small on the galactic scale, but to these individuals, it could mean everything. Blurb: Fearing eternal singledom, childhood friends Kate and Paul make the age-old vow that if they don't find love by thirty, they will marry each other. Years later, with the deadline of their 30th birthdays approaching, the unlikely couple decide to keep their teenage promise. After all, they are such good friends. Surely that's enough to make a marriage? 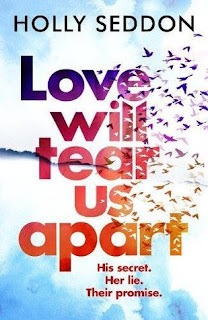 Now, on the eve of their 10th wedding anniversary, they will discover that love between men and women is more complex, and moreprecarious, than they could ever have imagined. As Kate struggles with a secret that reaches far into their past, will the couple's vow become the very thing that threatens their future? 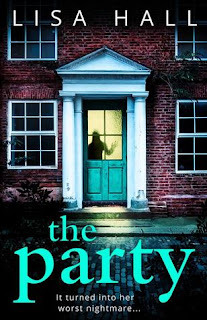 Blurb: When Rachel wakes up in a strange room, the morning after a neighbour’s party, she has no memory of what happened the night before. Why did her husband leave her alone at the party? Did they row? Why are Rachel’s arms so bruised? And why are her neighbours and friends so vague about what really happened? 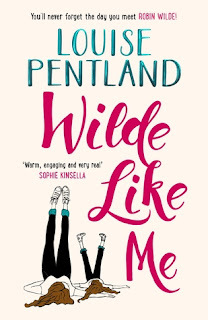 Blurb: Robin Wilde is an awesome single mum. She's great at her job. Her best friend Lacey and bonkers Auntie Kath love her and little Lyla Blue to the moon and back. From the outside, everything looks just fine. After 4 years (and 2 months and 24 days!) of single-mum-dom, it's time for Robin Wilde to Change. Her. Life! Blurb: What are you doing to help yourself? What are you doing to show that you're worth the resources? Blurb: Three women celebrate their birthdays . . . 30. 40. 50. But their milestone birthdays mark the start of a year that will change everything . . . Ginger isn't spending her 30th the way she would have planned. Tonight might be the first night of the rest of her life - or a total disaster. Sam is finally pregnant after years of trying. When her waters break on the morning of her 40th birthday, she panics: forget labour, how is she going to be a mother? Callie is celebrating her 50th at a big party in her Dublin home. Then a knock at the door mid-party turns her perfect life upside down . 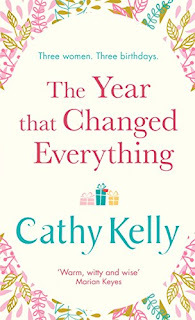 . . Full of warmth and wisdom, this is a story about finding happiness on your own terms from international bestseller Cathy Kelly. Blurb: Their friendship transcends nationality and background, but can it overcome the horrors of the past? A post-Second World War story of strong female ties and family, secrets and lies, set in the multicultural Australia of the fifties. 1954: When 16-year-old Hungarian Elizabeta arrives in Australia with her family, she is hoping to escape the hopelessness of life as a refugee in post-war Germany. 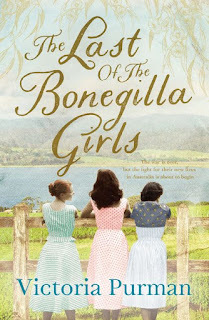 In this vibrant and growing country, the Bonegilla girls rush together toward a life that seems full of promise, even as they cope with the legacy of war, the oppressive nature of family tradition and ever-present sorrow. So when a ghost from the past reaches out for Elizabeta and threatens to pull her back into the shadows, there is nothing that her friends wouldn't do to keep her safe. What's the best book you've read lately? Or what's one book you'd recommend everyone puts on their TBR list?